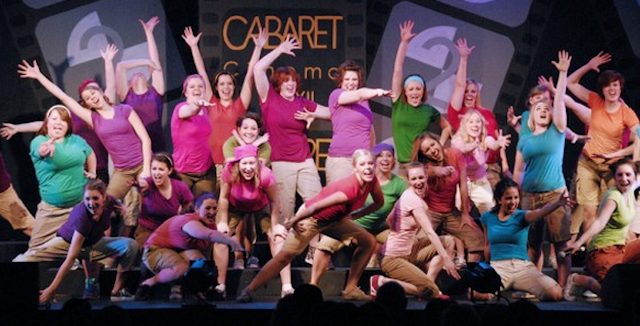 Cabaret Productions was founded in 1978 to provide experience for UW-Eau Claire Music and Theatre Arts students in arranging and staging a variety show. Cabaret provides for our students a valuable practicum during their course of study at the university. Many of the students performing in this show are music majors who will need to produce musicals and variety shows during their professional career. Annually, there are ten student directors working with a cast of 130 students. Cabaret began in 1978 with a modest sound system, little staging and piano accompaniment. Today, Cabaret involves a 10 month production schedule where students arrange, choreograph, rehearse and stage the annual production with orchestra. 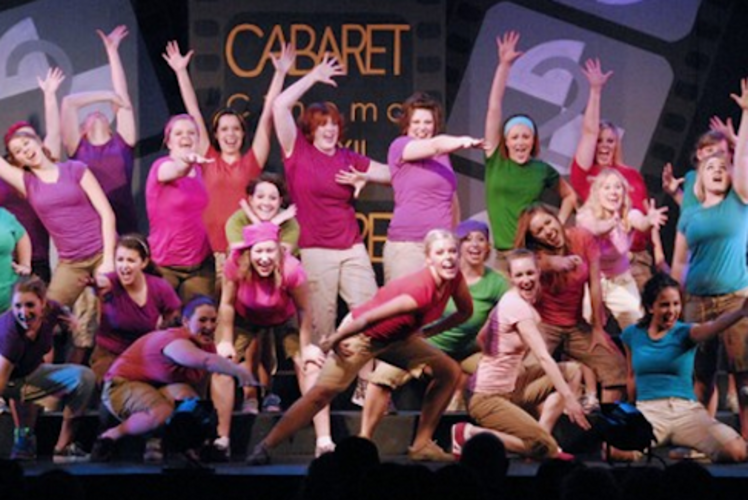 Each year student Cabaret directors enroll in a course addressing arranging, choreography and other areas involved in the production of a musical variety show. Cabaret Productions has raised over $250,000 in support of on-going scholarships for dedicated music students in the Voice/Choral Area and Jazz Area at UW-Eau Claire.